This far I have decoupaged several glass bottles. Now I wanted to make something nicer with them. It’s great to upcycle things, when you turn something no one needs into a useful or beautiful thing. 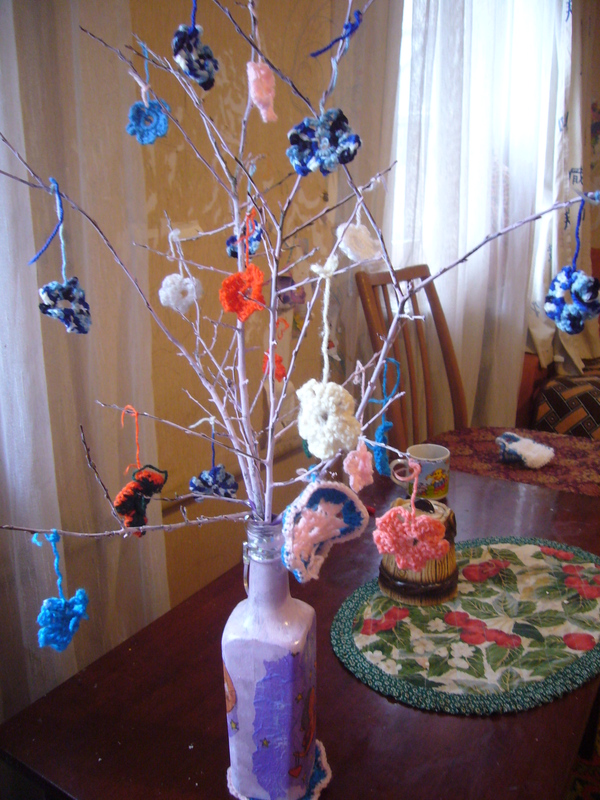 This time I used crocheting and decoupage to make a spring flower tree. I view crocheting as upcycling, too, because I mainly use old sweaters for the yarn. First of all, I have crocheted a bunch of small flowers. Here is a free pattern for these crocheted flowers. 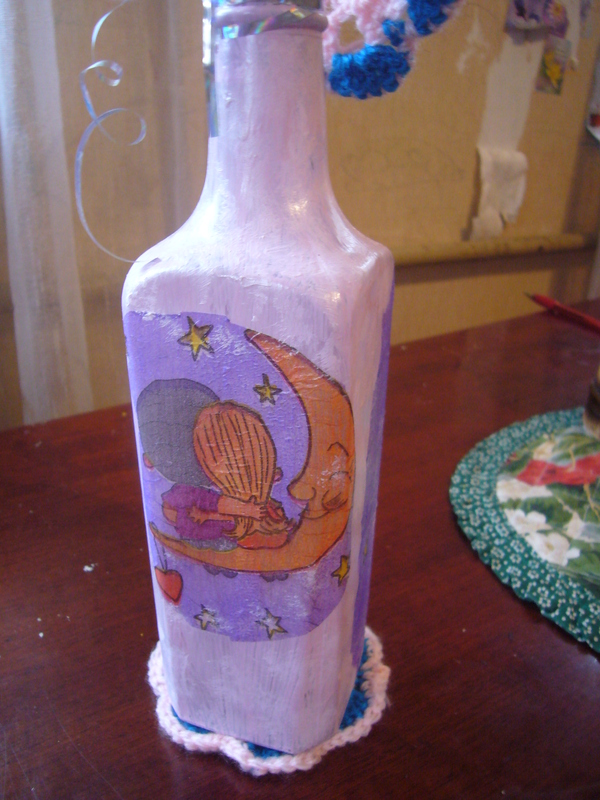 Then I found a bottle and decoupaged it. 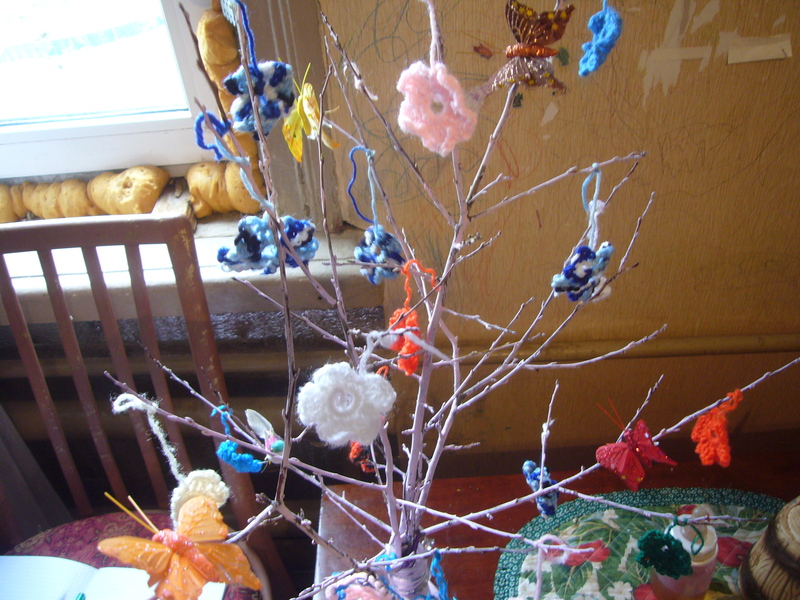 That is our decoupage and crocheting spring flower tree. Now it decorates our bedroom. This entry was posted in Crafting Tutorials, Crocheting, Decoupage ideas and tagged crafts, creative tips, creativity, crochet, crocheting, decoupage, decoupage how to, decoupage spring tree, decoupage tips, upcycling, Upcycling: decoupage and crocheting. Bookmark the permalink.